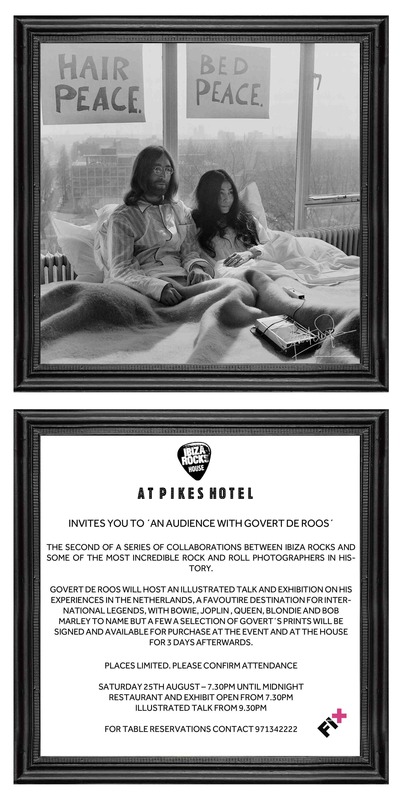 SATURDAY 25TH AUGUST CONFIRMED FOR THE ILLUSTRATED TALK WITH DE ROOS AT IBIZA ROCKS HOUSE @ PIKES HOTEL. When it comes to real rock n roll destinations of the 70s and 80s, Holland was way up there with the best of them, hosting the world’s top musicians and some of the most important events in the history of music from that time. Behind the lens, Govert de Roos was knee deep in the scene, ready to capture the essence of music for posterity with the help of his trusty camera..
As far as setting the bar high goes, de Roos’ picture of the peace and love ‘bed-in’ of John Lennon and Yoko Ono at the Hilton Hotel in Amsterdam is an undeniable classic moment in the history of music and from there the Dutch photographer went on to work one on one with The Jackson 5, Abba, Grace Jones, Peter Frampton, Joe Cocker, Whitney Houston and Blondie. That’s not to mention his stunning ‘live on stage’ shots of bands like Queen, Janis Joplin and Bob Marley. When we consider that this was the last era before digital came steaming into the world of photography, it’s not difficult to work out that the music/photography bond back then was a whole different ballgame to the modern day rockstar shoot. A different time, when a different connection existed between the musician and the photographer. It is that spirit, that trust, those naive pre-paparazzi times, that Govert De Roos photos capture so beautifully. Nearly forty years on and it’s time to relive that past- just for a while, with an exclusive appearance by the Govert de Roos himself, in an unprecendented visit to Ibiza, more specifically, at Ibiza Rocks House @ Pikes Hotel. Having dusted off his archives and selected his personal favourites, ‘An Audience with Govert de Roos’ is set to take place on Saturday 25th Auguest. 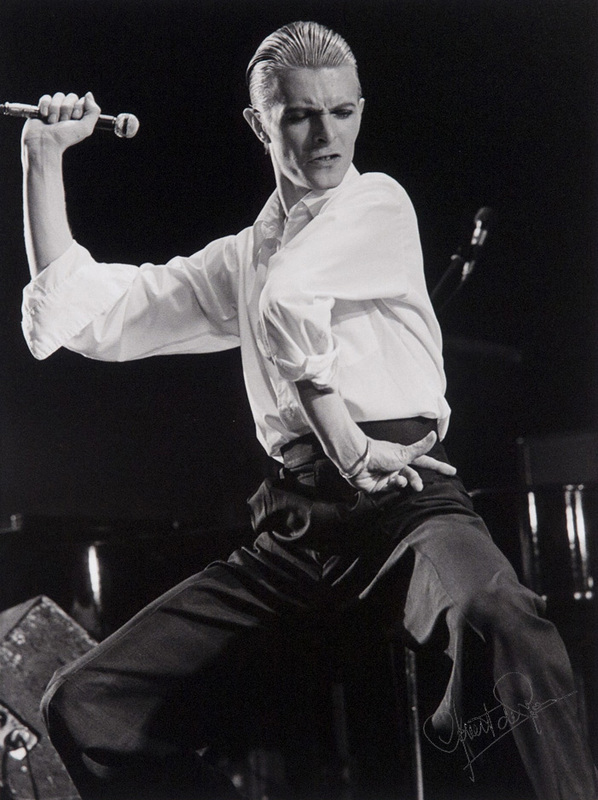 More specifically, the exhibition, entitled ‘Hard Copy’, will comprise of a selection of some fifty classic examples of the photographer’s work and will show until 28th August at the island’s original rock and roll hotel. A number of pieces (including some originals) will also be available for purchase on the night of the event, with de Roos on hand to personally sign the pictures. ‘An Audience with Govert de Roos’ is the second in the Ibiza Rocks initiative , the first having been hosted by Rolling Stone’s first photographer-in-chief, Baron Wolman on 12th June. De Roos, just like Wolman, is expected to enthrall his audience with the stories behind his pictures and tales of pure rocky horror and high japes- not to mention images of great including Abba, Blondie, David Bowie, Herman Brood, Joe Cocker, Lennard Cohen, Duran Duran, Eurythmics, Brian Ferry, Peter Frampton, Whitney Houston, Jackson 5, Elton John, Grace Jones, Janis Joplin, Chaka Khan, Kiss, Paul McCartney, Freddy Mercury, John Lennon & Yoko Ono, Bob Marley, Ringo Star, Miami Sound Machine, Sting, Cindy Lauper, Prince, Sade and Status Quo. As far as the venue goes, Ibiza Rocks House @ Pikes really is the ideal spot for such an occasion, already famous worldwide for its own 80s hey-day when Freddie Mercury and Grace Jones were regulars, Willie Nelson, Bon Jovi and Julio Iglesias frequent guests. Even Wham choose the hotel as the backdrop to their monster smash hit, Club Tropicana, turning the Pikes swimming pool into a must visit by any diehard 80s kid. All in all, the place boasts more rock n roll memorabilia from back in the day than a read through Ozzy Osbourne’s diary. August 15, 2012. 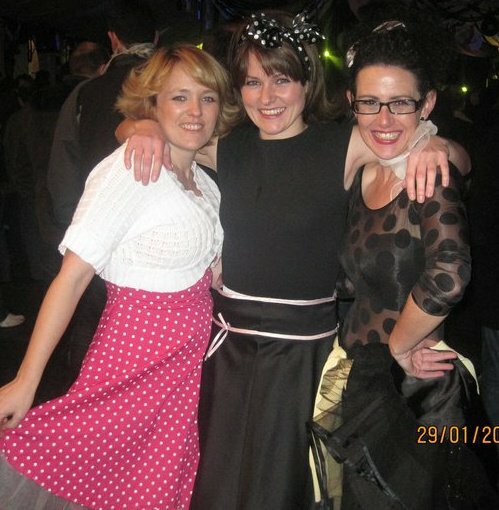 Tags: dutch, govert de roos, ibiza rocks house, photography, pikes, rock n roll. Uncategorized. 1 comment.